Gone are those days when sun was the only source of guessing the time. Then came the hourglass followed by the spring driven key clocks and our huge grandfather clocks. But what is commonly found today? Be it beautifully painted walls or the tender wrist of a 6 year-old kid, a digital watch is a must. Even daily utility machines like fridge and washing machine are marketed high time with the new digital operations. The old reel cameras have been quickly replaced with the latest digicams. In fact, accompanying them are the digital photo frames. Handwritten letters have been taken over by emails and social networking. So have the stage dramas and kathputli plays taken the form of television and cinema halls. Huge radio boxes have been substituted by mini music players or iPods which boast of up to 32GB memory storage. Whereas the simple toy cars have been revamped by the remote controlled ones. One thing which remains common to all - digitization. The letter “e” has prefixed most of our words: e-banking, e-books, e-paper, e-commerce, e-bay shopping and the list is never exhaustive. So what has been so influential in this development? Again, it’s the letter ‘e’ which gives the three main reasons – Expeditious, exact and ease. Digitization has lead to a lot of time saving. Information can be accessed on our fingertips 24X7. There is more precision to every calculation. As a result, the productivity graph has shot up. The fact that digital products are small in size is the icing on the cake. There is no limit to the amount of data which can be stored in the form of minute chips, data cards or memory cards. Apart from this, digitized technology has found way in entertainment. The smart touch phones have become the latest muse of the young generation. 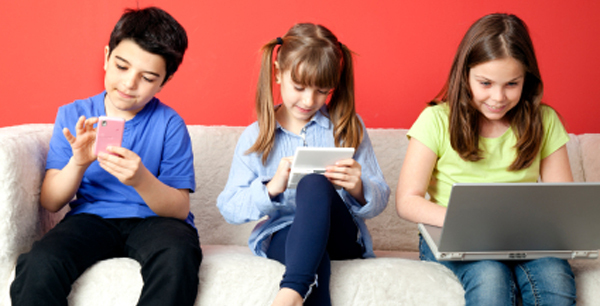 Nevertheless, children are attracted more to computer games rather than going out and playing in the sun. The older generation on the other hand, feels that the digitized systems have made things costlier than ever before and that life has become more materialistic. Electronic goods have become a mere showcase of status symbol. Although digitized systems are completely machine dependent which leave less room for human errors; one flaw in the smallest link of this system can lead to a bundle of mishaps. We have become addicted to the digital world. For that matter, fancy a day in your life without the internet! Life would be miserable. Availability of information is to its peak; however privacy and security issues are of great concern. Increased digitization has led to a flood of data where choosing the right content has become a misery. The wide range of products on display for everything we do has reduced the gap between need and luxury considerably. Having a look at both the pros and cons, it is difficult to decide the righteousness of digitization. Belonging to the 21st century generation, even I feel that the need of digitization is not wrong and should be encouraged. However, limits need to be set on its use, after all the beauty of this digitized world lies on how we use it.